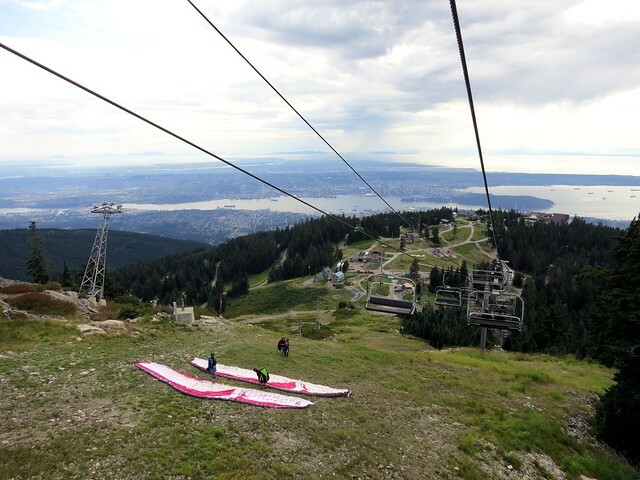 Head to the peak of Vancouver, Grouse Mountain, this Canada Day and be a part of history at the Guinness World Record attempt for Largest Human Maple Leaf! In order to participate in the Guinness World Record attempt, guests will need to don their finest red attire and head to the mountain at the top of The Cut by 1:00pm on Saturday, July 1st (early arrival recommended). Picture Yourself Here (all day, various locations): Capture your Canada Day with our mountaintop as your backdrop! Look for the photo frames around the Mountaintop. Complimentary Canada Day temporary tattoos & flags (8:00am-8:00pm, Guest Services): Head to Guest Services at the Base or in the Mountaintop Chalet to get decked out for Canada Day. Peak Yoga (9:30am-10:30am, Mountaintop Plaza): Kick off your Canada Day with a complimentary, 1-hour outdoor yoga practice presented by YYoga. Canada Day Pop-Up Shop (11:00am-6:00pm, in front of the Mountaintop Chalet): Gear up with everything Canada. Grizwald the Grizzly bear (11:00am-5:00pm, various locations): Snap a photo with our lovable mountain mascot. Axe-Throwing (2:00pm-6:00pm, Mountaintop): Be a lumberjack for the day and try your hand at hitting the bulls-eye. World Famous Lumberjack Show (11:15am, 2:00pm, 4:30pm – Lumberjack Show Grounds): Shows are 45 minutes long. Birds in Motion Demonstration (12:45pm, 3:15pm, 5:30pm – Birds in Motion Amphitheatre): Demonstrations are 30 minutes long. Grizzly Lookout Ranger Talks (10:00am, 12:15pm, 2:45pm, 4:00pm – Grizzly bear Habitat): Talks are 15 minutes long. After working up an appetite guests can enjoy special Canada Day food features at Altitudes Bistro and the Rusty Rail BBQ including a Poutine Burger and traditional smoked meat sandwich. Of course there are always BeaverTails too!